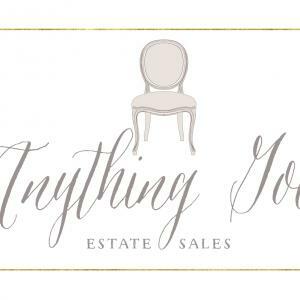 Northern Virginia's most trusted name in estate sales. Never a charge to set up, advertising or charity donations, Our LOW commission is all-inclusive. As a Northern Virginia experienced estate sale company, our staff understands the unique needs of those settling an estate, downsizing, moving or liquidating a business. We offer a wide range of services, we sort, clean, research, photograph, price, stage, advertise, and sell estate items. We are a family owned business. Britney Beauchemin and her staff are privileged to serve your unique needs with the sensitivity and compassion expected from Northern Virginia's recognized estate sale specialist. Call us today for a free no-obligation consultation. Best thing I did to get ready to sell house. Everyone involved was amazing. They go above and beyond to help! Great experience with the staff of Anything Goes. I have been to quite a bit of estate sales and I prefer their sales over others because every estate has had everything well organized giving me time to spend looking for "treasures" instead of trying to find someone for pricing. TIPS, Get there on opening day because they have a good following so things go fast! I haven't had a bad experience yet so It was worth my time to write this since I just came from another sale that seemed to chaotic and I've never felt that as a customer of anything goes. We have used Anything Goes Estate Sales twice now. First with my Mother-in-Laws estate after she passed and then with our home when we were moving. Britney and her team were courteous and professional. She was very sensitive to the fact that my husband was having a hard time parting with things. We highly recommend you give her a call if you are ready to down size.